OHL Limited are mere advisors to the landowner of the Ashton Estate and have no authority legally to bind the landowner to any contract or to any agreement of any kind. OHL Limited is primarily an asset management company with an emphasis on property management. Thus OHL Limited is involved in the management of residential, commercial and agricultural property. OHL Limited owns some property and is also directly involved in arable farming. The Company is very small with all employees based at Ashton, but with access to a range of professional advisors including land agents, lawyers, accountants and specialist letting agents. Much information about the properties is on offer, AST’s (Assured Shorthold Tenancy Agreements) and the application procedure is available via the OHL Limited Website. However, prospective tenants are encouraged to inspect properties, most of which are, in our view, in reasonable or good condition. The Management philosophy of OHL Limited is centered around the AST and the Right of the tenant to “Quiet Enjoyment”. The AST sets out the tenant’s responsibilities and the hope of the OHL Limited management team is that the need to bother the tenant will not arise: the win-win situation of “Quiet Enjoyment” on the one hand and “Preservation of available management time” on the other hand, hopefully will be the outcome. Nonetheless, the management team aims to address matters that are the responsibility of the Landlord. There is a stringent policy regarding rent arrears: Once OHL Limited is aware that a property is one month in arrears, a notice to quit is served, and the lawyers (Hewitsons) debt recovery service is instructed to collect arrears. (If a tenant is seriously ill, this policy may be varied, depending on circumstances). The OHL Limited questionnaire asks prospective tenants to confirm that they can afford one of our properties. Applicants who doubt their capabilities with regards to one property maybe interested in less expensive properties within our managed portfolio. We are actively interested in feedback from tenants – whether about repairs, or ideas for more efficient management, or ideas for major improvements to properties (or to services). The management team includes Ms. Patricia Dunkley (Director), and Ms. Carol Maibaum (Director). The aspirations of OHL Limited are embodied in our SALEPEPP motto – “Safety – Legality – People, Efficiency – Pricing and Profitability”. Given the rural background and diminutive size of OHL Limited, efficiency must be seen as a relative term. Safety: See the H & S section in our AST / Lease. The agreement has quite a lot about Safety and Property operation. Tenants are encouraged to report actual and potential hazards, and to help promote an acceptable level of work. Legality: The Company strives to obey all laws and to formulate legally Compliant Leases and Contracts. People: The Company strives to treat people in a reasonable manner, whether client or employee. Efficiency, Prices and Profit: One of the Company’s primary goals is to make long term profits: non-wasteful operations and a suitable pricing policy are thought to lead to long term profitability, subject to economic conditions. As regards to property, the pricing policy relating to rent is described in detail in the rent review section of the website. The usual strategy is to price a property so that the occupancy level approaches 100%. For example, as of July 2008, occupancy levels at Ashton are near 100% – only one property is available. There is always a turnover of properties, and applicants should not be discouraged from applying, even if there is a “full house”. Each month, one property often becomes available. Properties undergoing repairs are also available in the future and such properties can also be rented now with a future commencement date. Certain areas of the Ashton Estate benefit from inclusion in the Higher Level Stewardship scheme. 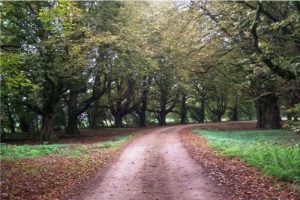 The Proprietor gratefully acknowledges the support of the Environment Stewardship Scheme (part of the Rural Development Programme for England). 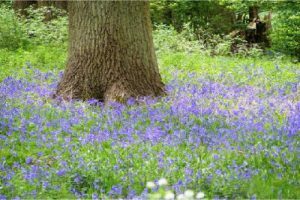 Areas on the Estate that benefit from the scheme include parts of the Ashton Woodlands and their Site of Special Scientific Interest (the “SSSI”), various wild flower meadows, numerous field margins and selected copses. Subject to the agreement and approval of Natural England, further information about the biological and ecological aspects of these Stewardship areas may be obtained from OHL Limited. OHL Limited expresses their gratitude to Natural England for their intellectual and monetary contribution to this important Conservation Programme. OHL Ltd provides properties either furnished or unfurnished. There is a pool of furniture: the size of the available pool fluctuates with demand, but there is usually some period, reproduction and modern furniture available. Also available are Art Works, including garden statuary. The picture gallery shows some Art work from the pool and whilst there are no art works of significant value, there are some nice copies of old masters, and some interesting prints and sculptures. 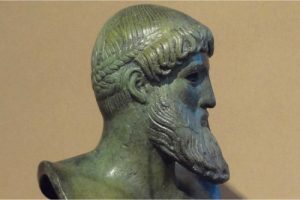 We are delighted with the copies (in bronze) of Greek masterpieces from the classical era – supplied by “It’s all Greek to me”, Bloomsbury, London www.itsallgreek.co.uk. This company has accurate copies of some of the most famous sculptures of the classical period of Ancient Greece.